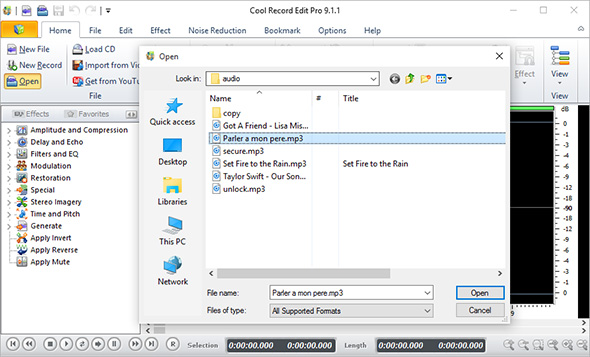 Cool Record Edit Deluxe provides voice synthesis to convert text into spoken audio so that you can create WAV/MP3/OGG/WMA files for use on portable devices like iPods, PocketPCs and CD players. This tutorial is going to show you How to Convert Text to Speech and add it to your audio. Click “Open” and in the activated window, choose an audio file and then you will see the waveform of the file displayed in the program window. Click on the waveform to choose an insertion point. In “File” tab, click “Text to Speech” to activate Text to Speech. In the popped up window, enter the words you wish spoken in the blank field and select voice engine as needed. You can add more voice engines by adding voice packages. 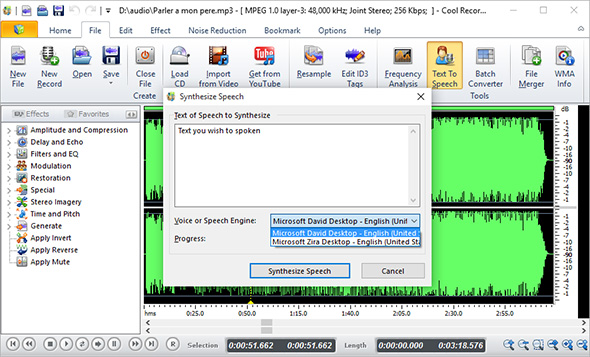 Finally, click “Synthesize Speech” to insert the text to the waveform. You can click “Play” to playback. Click “Save – Save File As”to choose an output folder for the audio file. 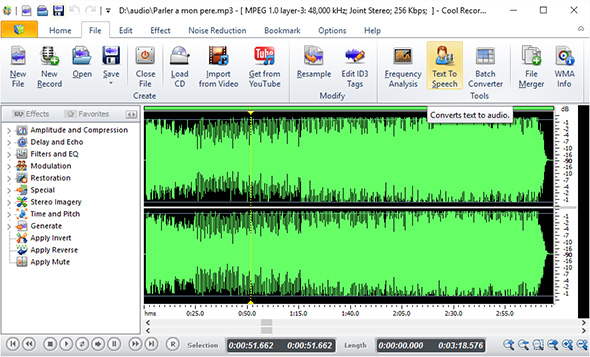 After that, you can specify the presets and parameters provided for quality control.